Used by Native Americans, including the Lakota, the Akira and the Sioux as hunting grounds, this rugged 240 thousand acre expanse was designated a National Park in 1978. Dances with Wolves (1990) was filmed on its grassy prairies, which cover what was once a sea bed. Fossils of mysterious sea creatures have been discovered here and there’s a fascinating quarry and laboratory in the park, which shows off recent finds. Nothing will prepare you for the views from Big Badlands Overlook. Death valley is the lowest and driest place in North America, and the hottest place on earth. With temperatures reaching 56oC and such a morbid name, you will be surprised to discover a variety of wildflowers, fish and animals including the famous Looney Tunes paring of Coyote and Roadrunner. Take the Artist’s Drive, a scenic loop through volcanic and sedimentary hills to the artists Palette, which is especially photogenic in late afternoon light. The Artists Drive is a 9 mile one way road for short vehicles only. Make sure you take in the Mesquite Flat Sand Dunes and don’t miss Dante’s view, the most breathtaking viewpoint in the park. America’s third largest park is a complex system of swamps, mangroves and sawgrass prairie fields. The heart of Florida’s Everglades National Park can only be accessed by boat or canoe and is thus a paddler’s paradise. Free Kayak and canoe trail maps are available to help you navigate the waters and there are four groups of hiking trails. The Anhinga trail is one of the best routes for viewing the park’s abundant wildlife, which includes many species of birds and fish as well as alligators, crocodiles, turtles, snakes and spiders. Remember to pack your binoculars. There aren’t many people that have not seen a picture of Arizona’s famous canyon. This iconic gorge is 18 miles long and a mile deep and nothing prepares you for its vastness and intense beauty, as you stand on the top and peer down at the Colorado River below. 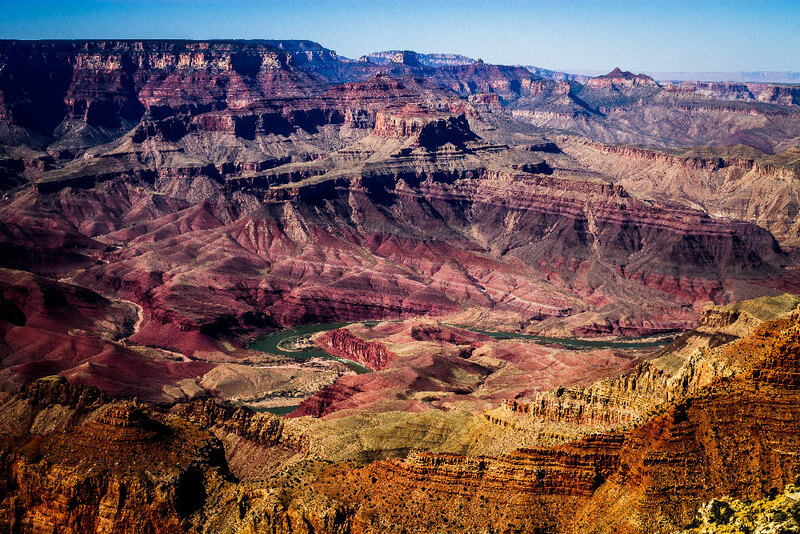 5 million people a year visit the Grand Canyon, making it the second most visited National Park. You can avoid most of them by going down into the valley to admire the canyon from the bottom up. Take a raft ride and sleep on the riverbank, it’s an experience you’ll never forget. There are not many better places in the world to watch the sunset than Lipan Point. Grab a drink and a porch swing on the patio of the El Tovar lodge and “you guy’s are gonna see something real special”. Affectionately known as ‘The Smokies’, the Great Smokey Mountains National Park is America’s most visited park. Most visitors see the park form the car, whilst driving along its scenic highway but the best experiences are to be had along more than 800 miles of maintained trails, ranging from short, paved walkways to strenuous ascents to the highest peaks. Black bears are resident and you will experience authentic Appalachian mountain culture. A staggering seven states can be seen from the tower on top of Clingsmans Dome, the park’s highest point. 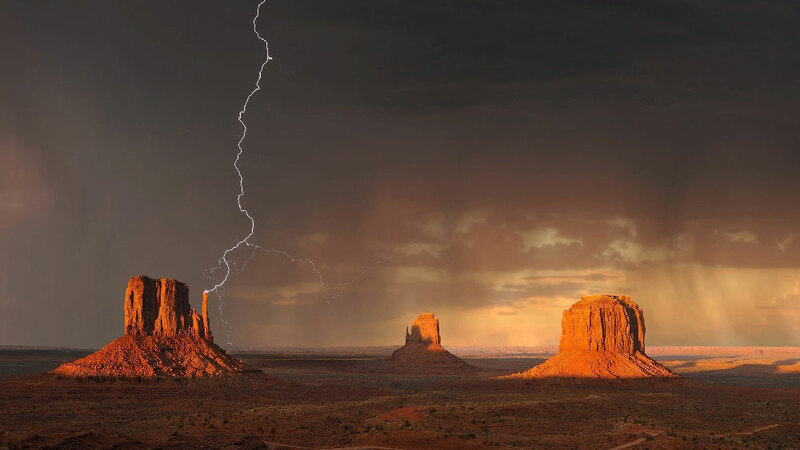 Monument Valley is a Navajo Tribal Park with iconic scenery that has defined the American West for decades of cinemagoers, thanks to John Ford, a film director who used the location for a number of his best known films. Guided valley tours are available in trucks with seating for 20 passengers and some guides sing traditional Navajo songs to make the experience complete. Customised and more costly jeep tours focus on special interests like photography and Native American rock art and guided horseback rides and hikes are also available. The only hiking trail in the park that can be walked without a Navajo guide is the 5km Wildcat trail, which loops around West Mitten Butte, providing great views from all angles. If you’re a western movie fan you won’t want to miss ‘Gouldings Trading Post’ Museum. Ambitious and energetic hikers are attracted to over 350 miles of trails and 72 named peaks within Colorado’s Rocky Mountain National Park. A particular favourite is Longs Peak, the park’s only fourteen thousand footer. The views from the top, of forests, lakes and snow streaked mountain tops are spectacular. Another favourite is Longs Peak but if you attempt the ‘Keyhole’ route, you must brave hair raising ledges before being rewarded with mind boggling views. You will see Moose and Elk and probably won’t see Black Bear, Mountain Lions or Bobcats but they’re all there. Try and catch the sunrise at Dream Lake or better still snowshoe there in winter and admire the ice formations in blissful solitude. The world’s first National Park is a vast canyon, lake and forest wonderland that needs little introduction. Yellowstone is where you’ll find volcanic hot springs, mud pots and geysers. ‘Old Faithful’ is the most famous but not the most faithful, it spouts every 30 to 120 minutes and then of course there is the wildlife. Not for nothing is Yellowstone called the American Serengeti, it is one of the worlds best large animal watching locations. It doesn’t matter how many documentaries you’ve seen, nothing will prepare you for the sight of Grey Wolves, Moose, Elk, Bison, Black and Grizzly bears roaming freely throughout the Yellowstone’s two million acres. John Muir, whose crusading led to the creation of this National Park, wrote, “No temple made with human hands can compete with Yosemite”. Over five million people a year marvel at the superlative glacier carved beauty, including Yosemite Falls, which is unlike anything on earth and the world’s tallest granite monolith, El Capitan. This 2,900 vertical wall has drawn climbers like a magnate since the 1920’s. Early attempts took weeks, with days spent sheltering on the face from rain. Today’s ascents are completed in less than three hours and in June 2017, Alex Honnold became the first person to free climb ‘El Cap’. He did it in a tee shirt and cut off shorts, with no ropes or safety devices. Check out the video on YouTube… it’s unbelievable. Tuolumne Meadows and its fabulous hiking trails can be accessed via the Tioga Pass road and you can try the short climb to the top of Pothole Dome. 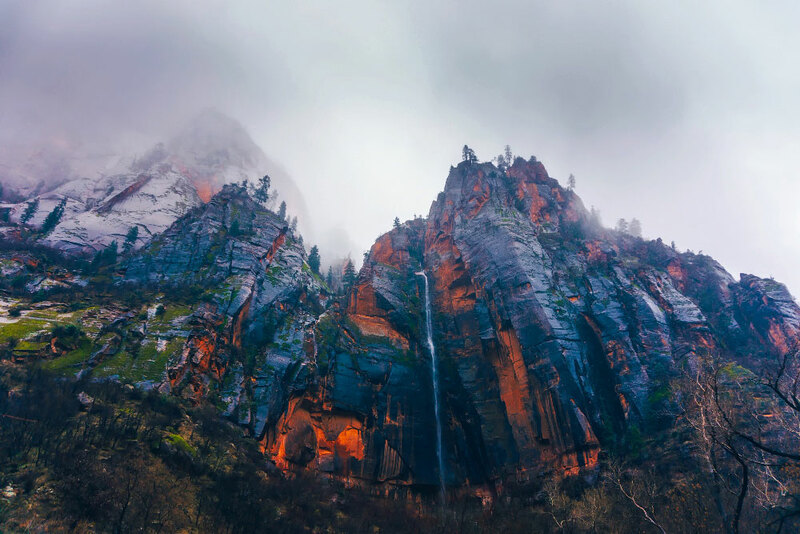 With its orangey-red walls, the canyons and mountains of the Zion National Park in Utah is another major rock climbing and hiking destination, providing many well trodden paths of varying difficulty. ‘Angels Landing’ for example, can be reached along a steep, arduous path with scary ledges and you will be rewarded with spectacular views up and down the canyon. For the less adventurous, there are plenty of other choices, including the short treks to Emerald Pools, and Weeping Rock, where water seeps from the cliff like tears. Canyoneering is popular and you will get wet on a hike up the Virgin River. The cliffs get closer and higher until the canyon becomes less than 10 metres wide and it’s impossible to get the thought of flash floods out of your mind. The beauty however is out of this world and the adventure unforgettable.